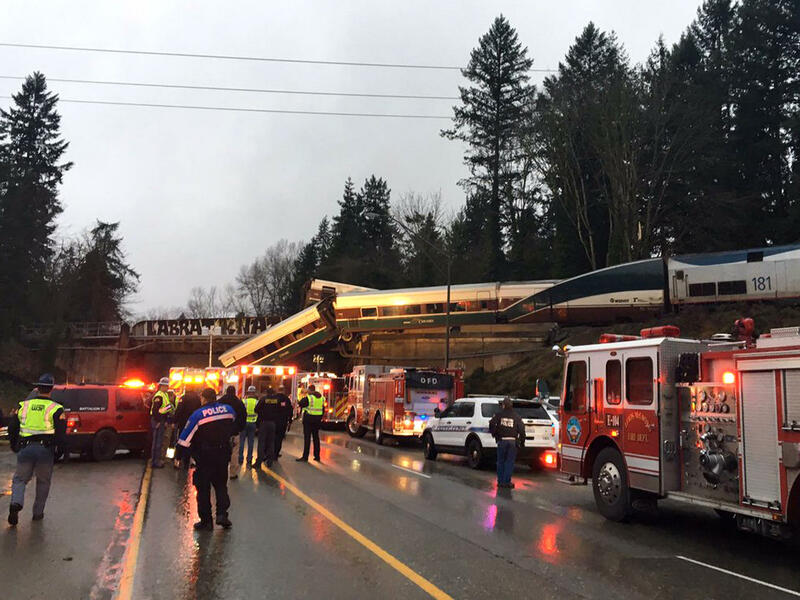 An Amtrak train derailed south of Seattle and fell partly onto Interstate 5, where authorities initially reported "injuries and casualties." Three deaths have have since been confirmed. The train, identified by Amtrak as the high-speed Train 501 from Seattle to Portland, was carrying 77 passengers and seven crew members when it derailed above Interstate 5 just after 7:30 a.m. local time. All but one of its cars and engines jumped the tracks, and at least one fell to the roadway below. "Multiple cars and trucks were struck by train cars that left the train tracks and went down onto the road," a spokesman for the sheriff's office said. "The people that were in all the vehicles — even though when you see the pictures, it's pretty horrific." MultiCare Health System, a local network of medical centers, says that 22 people involved in the crash have been hospitalized at three of its facilities. Five patients have also been sent to St. Joseph Medical Center in Tacoma, two of whom are in critical condition. Multiple other medical centers have reported receiving patients from the crash. A spokesman for the Washington State Patrol said there were an additional 23 injuries total, 10 in serious condition, four with moderate injuries and nine with minor injuries. "I do want to say, as you know, that we've had a lot of reports of more fatalities earlier in the day but I do want to let you know that there are three confirmed," the spokesman said. Below you can listen to the calls exchanged on the dispatch for the BNSF Railway. The train conductor's call for help and the confused chatter that erupts after the derailment is audible, courtesy of Broadcastify. "I tried to grab the table — I was sitting in the bistro car — and then I felt another lurch. "The motion stopped, and I was able to get out. I couldn't see anything. It was pitch black, and there was dust falling. And people were screaming." It remains unclear what caused the crash. But the train had never used the route it took Monday — as NPR's Martin Kaste notes, Monday marked its inaugural trip on a more inland route than usual. "Before this," Martin reports, "it used to snake along the edge of Puget Sound, but that slowed things down." So, on Monday, Amtrak Cascades trains began using a faster, more direct route — on tracks known as the Point Defiance Bypass, which are owned by the Sound Transit agency. The Washington State Department of Transportation says the Federal Railroad Administration funded and reviewed recent upgrades to the tracks. All told, the project's budget was nearly $181 million. But the shift in route was met with deep skepticism from some residents in the area after it was announced. Indeed, as local media noted earlier this month, Lakewood Mayor Don Anderson even predicted a deadly accident would come of it. "Come back when there is that accident, and try to justify not putting in those safety enhancements, or you can go back now and advocate for the money to do it, because this project was never needed and endangers our citizens," Anderson said, according to a local ABC affiliate. For now, authorities are asking onlookers to stay away from the scene while first responders work. Amtrak posted a number for people to inquire about any friends and family who were on Train 501. "We're praying for everyone on board the train, and ask everyone to hold them in your thoughts," Washington Gov. Jay Inslee tweeted, adding his thanks to first responders on the scene — and a warning to motorists to avoid the "ongoing and serious emergency." He declared a state of emergency Monday to aid the response to the crash, which has also clogged one of the state's busiest roadways, used by some 60,000 people every day. As the Northwest News Network's Austin Jenkins told Here & Now, "this is Interstate 5, the main north-south thoroughfare through Washington state — and for that matter, up and down the West Coast." There is now a "large backup several miles long," reports Anna King, also of the Northwest News Network. "They're asking all drivers that can stay home to not drive at this time near this incident, as there are very few alternative routes." 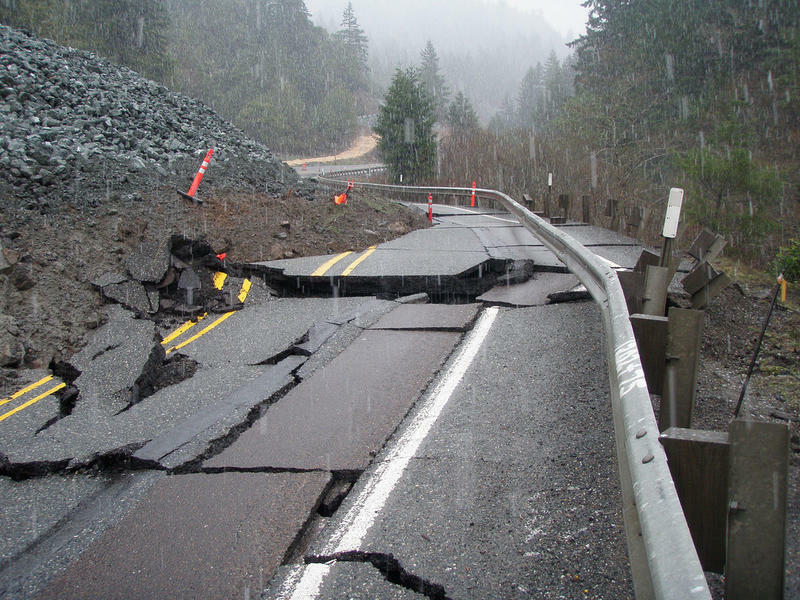 The state's Department of Transportation says it does not know when that stretch of I-5 will reopen. The deadly crash "shows more than ever why our soon to be submitted infrastructure plan must be approved quickly," tweeted President Trump, who was briefed on the derailment. "Seven trillion dollars spent in the Middle East while our roads, bridges, tunnels, railways (and more) crumble! Not for long!" He later added that his "thoughts and prayers are with everyone involved in the train accident." The National Transportation Safety Board, says it is opening an investigation into the incident and sending a team to the site Monday. Can Taxing Pollution Pay For Infrastructure Improvements? Rebuilding America’s infrastructure is an idea lots of politicians embrace. But how to pay for it can be tricky. 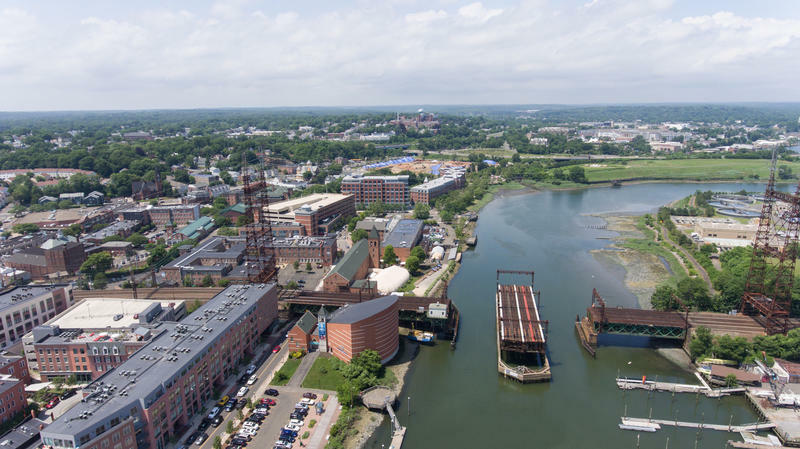 Now, one Connecticut congressman is suggesting a possible solution: taxing pollution.